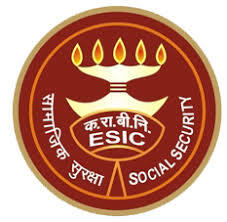 Walk in Interview for appointment in following AE, JE post in Employees State Insurance Corporation. Assistant Engineer (Civil) - Degree in Civil Engineering from recognized University/Institution. ii. Only Persons who should have honourably retired in the rank of Assistant Engineer or above from CPWD/State PWD/Central or State PSUs/Railways/Central or State Govt. Dept.Autonomous bodies of the Central Govt. need to apply. iii. Person must be drawing pension from that office. Junior Engineer (Electrical) - Diploma in Electric Engineering from recognized University/Institution. ii. Only Persons who should have honourably retired in the rank of Junior Engineers or above from CPWD/State PWD/Central or State PSUs/Railways/Central or State Govt. Dept. Autonomous bodies of the Central Govt. need to apply. iii. Person must be drawing pension from that office. Junior Engineer (Civil) - Diploma in Civil Engineering from recognized University/Institution. ii. Only Persons who should have honourably retired in the rank of Junior Engineers or above from CPWD/State PWD/Central or State PSUs/Railways/Central or State Govt. Dept.Autonomous bodies of the Central Govt. need to apply. iii. Person must be drawing pension from that office. Labels: Central Government Jobs , Jobs in ESIC .